Blakedown is a leading provider of sport and play facilities throughout the UK. Our dedicated team of contract managers are ready to steer you seamlessly through your entire project, from concept to completion. Artificial turf is used on professional and amateur pitches, courts and greens around the world. Refinement through the decades has led to the excellent, pliable yet hardwearing products we can offer today. It can withstand heavy rain — and even heavier play. A drainage system is installed beneath outdoor surfaces so puddles are a thing of the past. At the top of our game for over 40 years, we are proud to list several top class sporting venues in our portfolio, including the training track at the Manchester Commonwealth Games site. We also enjoy long-standing relationships with many local authorities and educational establishments. As a construction company we are very unique within our industry as we directly employ the majority of our site workers, allowing work from civils, carpet laying to erecting fencing to all be undertaken by our highly skilled and trained in-house team to ensure a top quality installation from start to finish. At Blakedown we take fun very seriously. With a wealth of experience in playground installation, we know all about the increasing demands for safer play areas, as well as the requirement to create more challenging and interactive features. Using our unparalleled expertise in engineering design and installation, we provide fun facilities that excite the imagination while keeping children safe and secure. 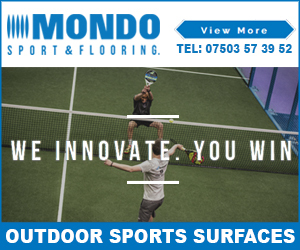 A variety of surface finishes, including colourful wet pour rubber crumb, textured natural bark and prefabricated rubber tiles, all designed to meet critical fall height requirements. Climbing frames, swings, slides, tree houses, balance beams, play houses and contemporary items, such as pirate ships. Fencing, lighting and footpaths, all installed by our skilled and dedicated in-house staff. Vandal-resistant equipment for particularly demanding sites. Any questions? Contact Us to discuss your requirements.